Beauty Alert: Maybelline Make-Up Madness Sale! 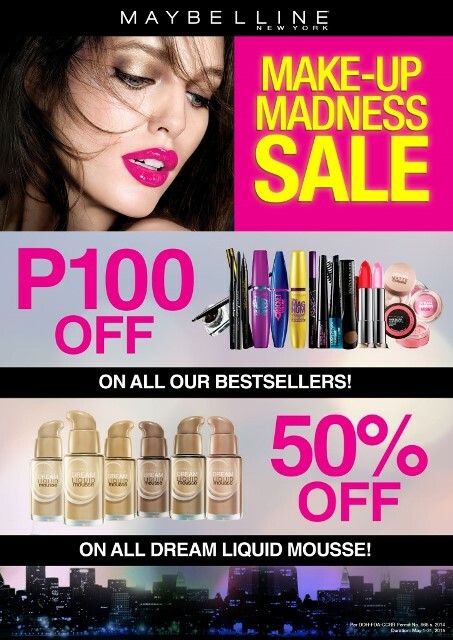 Maybelline New York in the Philippines is hosting the Maybelline Make-Up Madness Sale this month of May. Starting May 1 until May 31, Maybelline New York is slashing P100 off on all Maybelline bestsellers plus a 50% off on Dream Liquid Mousse.